A customer approached us looking for some shutters for the main window of a living room in their home located in Kenley, Surrey. The client was looking to achieve better privacy in a room that is currently overlooked by houses out the front, while also getting the most out of natural light that comes through the window. 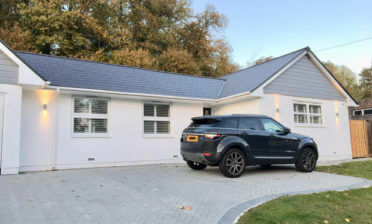 The window area itself required many panels of shutters for the installation and also for the shutters to be installed facing to the front and both sides. 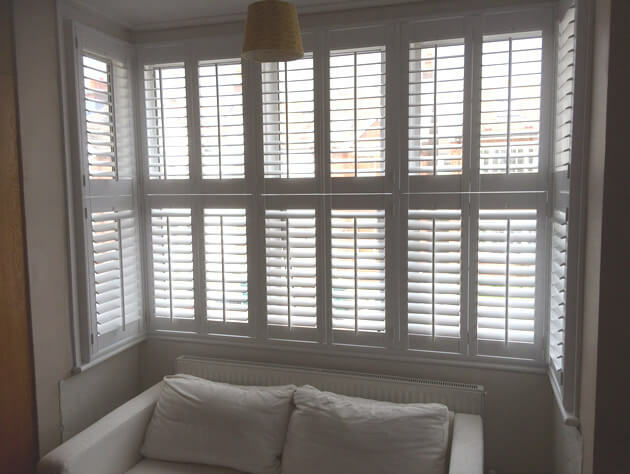 By taking exact measurements we are able to create the shutters to fit perfectly in situations such as this, with the shutters functioning and opening with millimetre accuracy. 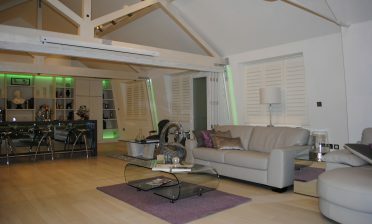 The shutters were created using our Tier on Tier style which is the most flexible style we offer. 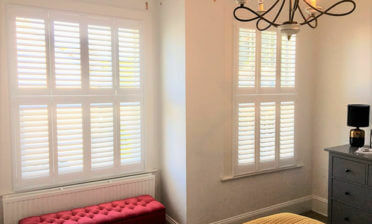 Not only can the shutters be adjusted top and bottom, but they can be fully opened and closed independently as well. We created a traditional look for the customer using narrow shutter panels combined with central tilt rods over all panels with 64mm louvres. We created the shutters using a MDF material from our Antigua Range which were finished in a Pure white paint with matching coloured hinges. These shutters not only create a great new look for the windows, but achieve the privacy and light control that the customer desired.